Living in the Borderland addresses the evolution of Western consciousness and describes the emergence of the ‘Borderland,' a spectrum of reality that is beyond the rational yet is palpable to an increasing number of individuals. Building on Jungian theory, Jerome Bernstein argues that a greater openness to transrational reality experienced by Borderland personalities allows new possibilities for understanding and healing confounding clinical and developmental enigmas. There are many people whose experiences of reality is outside the mainstream of Western culture; often they see themselves as abnormal because they have no articulated frame of reference for their experience. The concept of the Borderland personality explains much of their experience. · Integration of Navajo and Western healing approaches for Borderland Personalities. 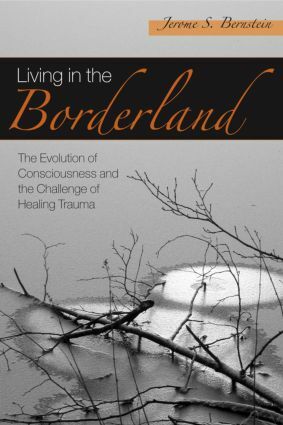 Living in the Borderland challenges the standard clinical model, which views normality as an absence of pathology and which equates normality with the rational. Jerome S. Bernstein describes how psychotherapy itself often contributes to the alienation of Borderland personalities by misperceiving the difference between the pathological and the sacred. The case studies included illustrate the potential this has for causing serious psychic and emotional damage to the patient. This challenge to the orthodoxies and complacencies of Western medicine’s concept of pathology will interest Jungian Analysts, Psychotherapists, Psychiatrists and other physicians, as well as educators of children.